Ask Verified: What is a Website Audit? 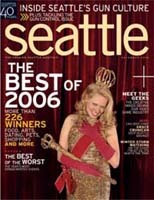 Seattle Magazine is the premier regional lifestyle and culture publication in the Pacific Northwest. Seattle Magazine focuses on enriching the lives of both its subscribers and newsstand readers by covering local and national events that impact everyday life in the region. Play � Fusion Publishing, Inc. Shock � Hachette Filipacchi Media US, Inc.
November 6 in New York. After attending the AAPS spring conference in Cancun, Manuel Austin, President of A&A Distribution began pondering the opportunities presented by Verified Audit Circulation in their discussion of field verification of distribution. According to Manuel, "The unreasonable claims of a local newspaper who is a competitor of mine made me uncomfortable. I realized it was time to get some reliable and independent confirmation of the quality of my company's work." Though Manuel was fully confident in the quality of service A&A delivered, he felt that having independent verification of distribution would help his clients feel that same level of confidence. Verified responded to Manuel's request for a proposal immediately and set about developing a plan that would provide an assessment of A&A's distribution of the Almaden Times on June 23rd. A field verification project commissioned by a distributor is similar to one commissioned by an advertiser, but it can be expanded to include characteristics that an advertiser may not know or care about. This particular project included not only verification of delivery but quality of delivery assessment and an evaluation of the warehouse facilities, delivery vehicles, and staff. Verified's field auditors were on the scene before dawn on delivery day armed with GPS tracking phones used to send precise location data back to Verified's office. After an examination of the physical assets, they took to the field to observe the delivery of the paper in six distribution zones from start to finish. The auditors found that delivery areas/routes were well documented on street maps and with detail lists for "stops" and special requests. The distribution was carried out quickly and with care and papers were "porched" in a conspicuous location. Saturation of the observed delivery zones appeared to be complete, allowing for stop delivery requests. "My staff did not know about the audit until 45 minutes before Verified arrived at our offices," said Manuel. "Their nervousness turned to pride as they watched the auditor count papers in the truck, observe the accurate delivery to the front door, and note the inventory and quality control systems we use. Naturally, they were delighted with the outcome." Within two days, A&A Distribution received a preliminary report from Verified, which was followed up by a conference call to discuss particulars of the job and the report. A final summary report was delivered the next day. "I have shared the summary letter with quite a few customers," said Manuel. "When prospects ask me who I work with, in addition to my list of customers I now tell them about my relationship with Verified. This definitely provides them assurance and has led to new business." "This project was a pleasure to develop and implement because A&A Distribution is a very well run operation," said Tim Prouty, Chief Executive Officer of Verified Audit. "All observed distribution systems and performance were found to be excellent." Manuel said, "This open relationship with Verified, an independent audit firm, has given me an increased sense of optimism about the future of our industry." According to the new Vertis Communications proprietary Customer Focus�/RISC Fashion study, 51 percent of adults use advertising inserts or circulars to decide where to shop for clothing items. "Despite demographic similarities, consumers are unique individuals with different values and personalities influencing their habits," said Jim Litwin, Vice President of Market Insights at Vertis Communications. "In order to connect with consumers on a personal level, it is important for marketers to understand these groups and their motivations." Movers and Shapers are described as open-minded individuals in constant pursuit of new things from clothing to careers. They are a high-energy group that does not like to be controlled or limited. Daredevils are known for their competitive nature and constant need for recognition from others. These individuals value status, which is often reflected by their physical appearance and purchase selections. Wannabes aspire to be like other groups who have what they want and know how to enjoy life. These adults are often attracted to unique and different experiences. Guardians are least likely to accept change and often plan ahead to avoid unexpected situations. Close, personal relationships are important to this group, which values tradition and routine. A Website audit is a comprehensive review of the online activity of a publication's Website. It's a reliable audience and traffic measurement that is essential to the media buying and selling process. Auditing is vital to attracting and retaining advertisers. Why should I have a Website audit? Media buyers demand accountability and transparency regarding online activity. 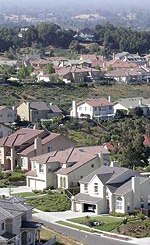 Buyers are seeking third-party verification of to assure them that they are making smart buying decisions. To monetize your Website and keep competitive in the marketplace, you need to provide authoritative proof of performance. What do I need for a Website audit? Does an auditor come to my office to conduct the audit? The audit is conducted at Verified corporate offices. How often are Website audits conducted? We recommend a minimum of quarterly auditing. However, you can determine the audit frequency. What kind of information is reported on a Website Audit Report? The standard Verified audit report includes 5 indices: total and average visits, users, page views and visit length. Web audits can be customized to fit your own needs and may include bounce rate, click paths, downloads, countries, screen resolution, etc. To view a sample Website Audit Report, go to www.verifiedaudit.com. I'm not a Verified client, can Verified still conduct my Website audit? You do not have to currently be a Verified audit client to have a Web audit. What is the price range for a Website audit? The cost for a Web audit varies and custom reporting will increase the fee. A basic audit starts at $2,800 annually. For more information contact John Lowman, Director of Sales, at (415) 461-6006 or jlowman@verifiedaudit.com.